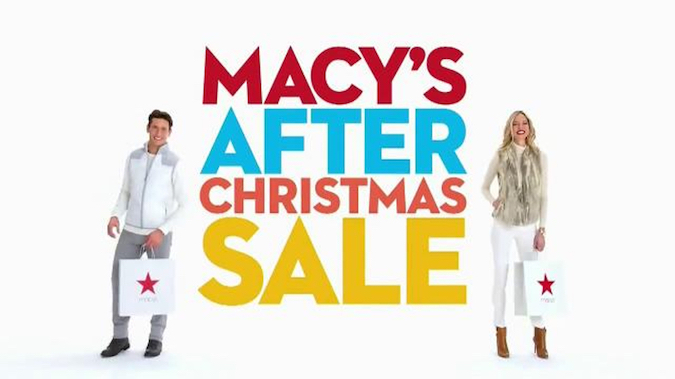 Macy’s After Christmas Sale is Here! Throw away the wrapping paper and clear a path through the kitchen because Macy’s After Christmas Sale is here! I know many of you may still be lingering in your pajamas while enjoying leftovers and looking over all the gifts from yesterday, but just in case you didn’t get exactly what you wanted (or forgot a gift for someone on your list), click on over to Macy’s After Christmas Sale to save big. In addition to the extra discounts you’ll find during this Macy’s sale, you’ll also discover Macy’s lowest prices of the season in several departments, including furniture, mattresses and rugs. Is a new fitness routine already on your mind? Nike is 25% off and Apple Watches (Series 1) start at just $199. Feel like refreshing your bedroom? The biggest white sale of the year is happening right now. Sick of what’s in your underwear drawer? The semi-annual lingerie sale happens to be going on during the After-Christmas Sale! Of course, these are just a few of the discounts running concurrent with the current sale. So whether you have gift cards you can’t wait to spend or you just can’t pass up a good deal, the Macy’s After Christmas Sale is sure to bring a smile to your face (and your wallet).